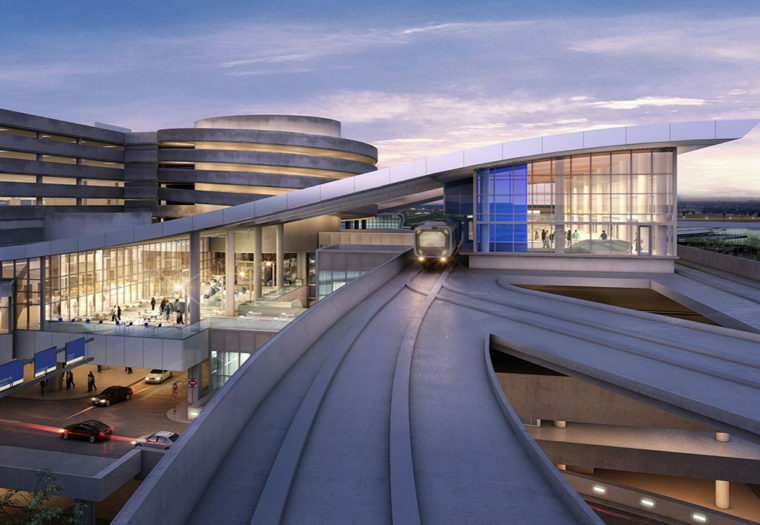 Arora Helps Tampa International Realize Phase One in Massive Expansion Project - Arora Engineers, Inc. The Hillsborough County Aviation Authority (HCAA) has recently made a significant change in the way passengers park and drive around Tampa International Airport (TPA). 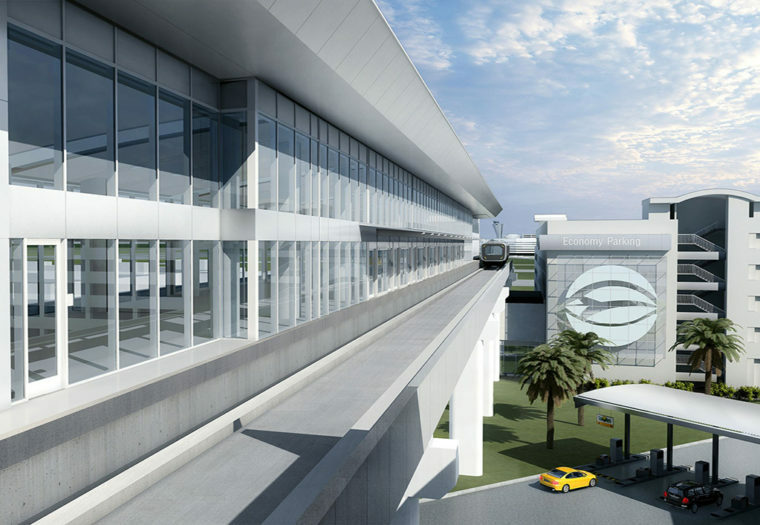 On Wednesday, February 14th, TPA unveiled what airport officials call “Phase 1 of 3” in a substantial, multi-million-dollar expansion project. The airport is expected to serve 20 million people in 2018, and once all three phases are complete the facility will be able to serve 34 million passengers annually. Phase 1 involved relocating the previous car rental facility, which was located next to the main terminal, to a location approximately 1.3 miles south. The new consolidated rental car (ConRAC) facility is a 4-level garage consisting of over 620,000 square feet per level, including the customer service center on the top level. Its purpose is to provide the most state of the art facility for the 14 rental car agencies to operate from. 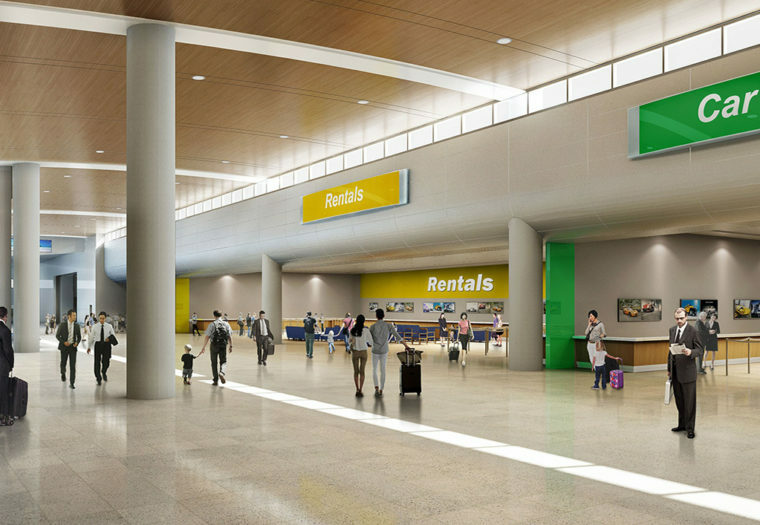 The new center is much larger and more comfortable for passengers, and even includes an area to print boarding passes and check bags before you ever enter the main terminal. Arora was tasked with providing special systems engineering services for this project, specifically to provide an extension of the existing Public-Address Paging System (PAS) as well as the digital signage systems, including the Electronic Video Information Display System (EVIDS), direct view LED dynamic signage, and touchscreen directory system. All new telecommunications room layouts were also included in the design for both HCAA and ConRAC tenants. With regards to the PAS, Arora’s task was to provide the facilities with the latest network-centric announcement control system, as well as an interface with the existing system, in order to pass messages seamlessly from one platform to the other. For digital signage, Arora provided 40 LCD screens for EVIDS to display flight information. The five interactive directories consist of large 70-inch touchscreen monitors that deliver passengers’ wayfinding information and include a scanner that allows passengers to scan their boarding pass and find a direct route to their destination, as well as stops along the way. Arora also incorporated six high definition, direct view LED signs, spanning up to 20 feet in length, that will provide passengers with welcome messages, visitor information, and rental car information. Using a technical array of video hardware to manage and deliver content, Arora expanded upon and improved the backend system to offer HCAA additional video capacity and control features that were not previously available. Austin Commercial also asked Arora to provide on-site representation during the construction of the Arora designed systems, providing construction administration, management, and inspection services.